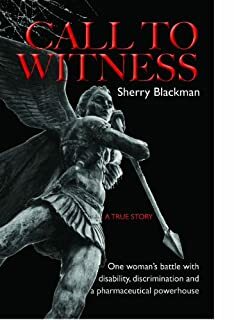 Call to Witness | CALL TO WITNESS is the true story of one woman’s battle with disability, discrimination, and a leading pharmaceutical powerhouse. A 5K Walk on behalf of the Tisch MS Center for Research of New York. Sunday, April 7th from 10am-2pm. Join us at Shawnee Inn & Golf Resort for a 5k walk for a cure! Includes a walk to cure MS, ending with a Family friendly BBQ, auction items, and Music by DJ Ruby! Special Guest Speakers Jane Gagliardo and International Journalist and Pulitzer Prize-nominated Author Sherry Blackman and Attorney Patrick Reilly. Date of Event Sunday 4/7/2019 Registration starts at 9 am, with walk starting promptly at 10 am. All participants will be served a BBQ, Family friendly games, DJ Ruby spins, and special guest speakers Jane Gagliardo, Sherry Blackman, and Patrick Reilly. Registration is $25 Adults, $15 Kids 11 and under. The Individual that raises the most donations will receive an award, and special recognition during the event. A portion of Proceeds will Benefit Tisch MS Research Center of New York. For registration and information contact Gil Coronado 201-753-0093 gcoronado.cila@gmail.com or contact Jane Gagliardo jane_gagliardo@yahoo.com 570-688-5426. Shawnee Inn and Golf Resort, 100 Shawnee Inn Drive Shawnee On Delaware, PA 18356. This week on “My Stories..Chapters and Challenges” Neurologist Dr. Barbour, whose specializes in treating patients with Multiple Sclerosis, discusses Jane’s trail that became a landmark case for Americans with Disabilities. Jane Dovidio-Gagliardo Sherry Blackman https://soundcloud.com/…/ep-006-dr-peter-barbour-md-neurolo… Be inspired, and moved by people overcoming challenges snd creating new chapters.